USAASA CFO Mahomed Chowan commenced his duties at the state-owned enterprise this week. 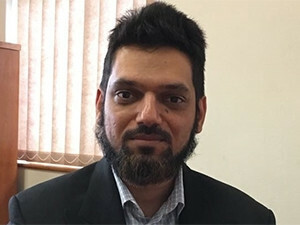 The Universal Service and Access Agency of South Africa (USAASA) has appointed Mahomed Chowan as its new chief finance officer. Chowan commenced his duties at the state-owned enterprise this week. The appointment comes after the recent release of the long-awaited ICT policy white paper, in which telecommunications and postal services minister Siyabonga Cwele said USAASA will be dismantled and its functions transferred to the telecommunications department. The ICT policy recommends USAASA be dissolved and the existing Universal Service and Access Fund be transformed into a standalone funding agency to support universal service and access. This move is said to be in line with government's commitment to streamline the roles and responsibilities of different entities to increase efficiency and public value of public resources. Chowan is a graduate of the University of KwaZulu-Natal, where he completed a degree in Bachelor of Accountancy and a Postgraduate Diploma in Accountancy. His career spans various industries, including the ICT sector. He has worked for companies such as the National Lottery, Telkom, Cell C, Amalgamated Beverage Industries, Lattice Energy, Ernst & Young and Deloitte & Touche, among others. Acting chairperson Mawethu Cawe and the USAASA board welcomed Chowan, saying they trust his wealth of knowledge in finance will catapult the agency's delivery on its mandate for the provision of universal access and service in under-serviced areas.